High-deductible medical insurance plan? Try an HSA! With the first year of the new Tax Cuts and Job Act behind us, tax-efficient saving seems to be top of mind for many Americans. In a world of uncertainty, why not utilize a savings vehicle you can control to help with medical costs? A Health Savings Account, or HSA, is available to anyone enrolled in a high-deductible health care plan. Many confuse an HSA with a Flex Spending Account or FSA – don’t make that mistake! A Health Savings Account is typically much more flexible and allows you to roll any unused funds over year to year, while a Flex Spending Account is a “use it or lose it” plan. Many employers who offer high-deductible plans will often contribute a certain amount to the employee’s HSA each year as an added benefit, somewhat like a 401k match. Dollars contributed to the account are pre-tax, and tax-deferred earnings accumulate. Funds withdrawn, if used for qualified medical expenses (including earnings), are tax-free. The list of qualified medical expenses can be found at irs.gov; however, just to give you an idea, they include expenses to cover your deductible (not premiums), co-payments, prescription drugs, and various dental and vision care expenses. As always, consult with your financial advisor, tax advisor, and health savings account institution to verify what expenses qualify. If you make a“non-qualified” withdrawal, you will pay taxes and a 20% penalty on the withdrawal amount. Once you reach age 65 and enroll in Medicare, you can no longer contribute to an HSA. However, funds can be withdrawn for any purpose, medical or not, and you will no longer be subject to the 20% penalty. The withdrawal will be included in taxable income, as with an IRA or 401k distribution. This can present a great planning opportunity for clients who may want to defer additional money, but have already maximized their 401k plans or IRAs for the year. Although you have to wait longer to avoid the penalty than with a traditional retirement plan (age 59 ½), this investment vehicle could reduce taxable income in the year contributions were made, while earnings have the opportunity to grow tax-deferred and tax-free. As you can see, a Health Savings Account can be a great addition to an overall financial plan and should be considered if you are covered under a high-deductible health plan. No one likes medical expenses, but this vehicle can potentially soften their impact. 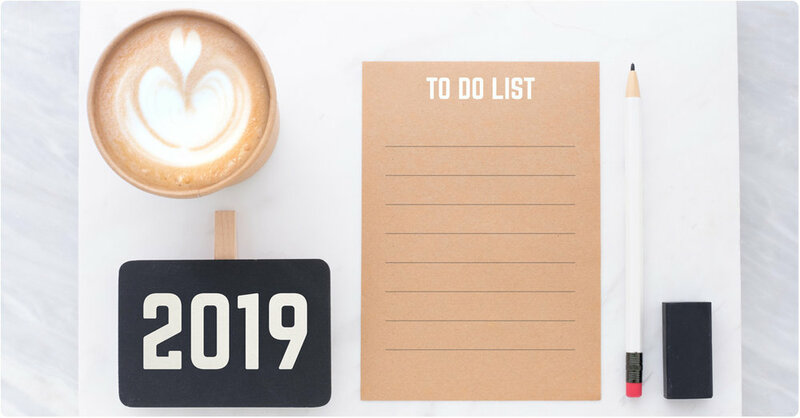 As we settle into 2019, the fresh calendar year provides an ideal opportunity to make plans and adjustments for your future. Instead of setting lofty resolutions without a game plan in mind, might I suggest that you consider our New Year Financial Checklist? Completing this list of actionable, attainable goals will help you avoid the disappointment of forgotten resolutions in February, and you’ll feel the satisfaction of actually accomplishing something really important! Measure your progress by reviewing your net worth as compared to one year ago. Even when markets are down, it's important to evaluate your net worth annually. Did your savings still move you forward? If you're slightly down from last year, was spending a factor? There is no better way to evaluate than by taking a look at the numbers! Speaking of spending and numbers, review your cash flow! How much came in last year and how much went out? Ideally, we want more income than spending. Now, let's focus on the dreaded budget. Sure, budgeting can be a grind, so call it a “spending plan”. Do you have any significant expenses coming up this year? Make sure you're prepared and have enough saved. Be sure you review and update beneficiaries on IRAs, 401(k)s, 403(b)s, life insurance, etc. You'd be surprised at how many people don't have beneficiaries listed on retirement accounts (or have forgotten to remove their ex-spouse)! Revisit your portfolio's asset allocation. Make sure your investments and risk are still aligned with your stage in life, your goals, and your comfort level. I'm not at all suggesting that you make changes based on market headlines. Just be sure that the retirement or investment account you opened 20 years ago is still working for you. Review your Social Security Statement. If you're not yet retired, you will need to go online to review your estimated benefit. Social Security is one of the most critical pieces of your retirement, so make sure your income record is accurate. Of course, this list isn't exhaustive. The final step to ensure your financial wellbeing is a review with your advisor. Even if you don't work with a financial planner, at a minimum set aside time on your own, with your spouse or a trusted friend, to plan on improving your financial health. Do it even if you only get to the gym the first few weeks of January! On New Year's Day, about 45 percent of Americans will resolve to make 2019 their best year ever. Not surprisingly, the most common New Year’s resolution is to lose weight. People also vow to get more organized, exercise more, better manage their finances, and do more good in the world. While many of our team’s resolutions fall into those categories, The Center has one rebel. Jaclyn >> Balance my checkbook more frequently. Matt T >> Give away 10% of my income to charity in 2019. Nick D >> Run another half marathon! Did it back in 2009, but have been a bum ever since. Tim :: In addition to the common resolutions of losing weight and saving more money (not in that order), I have some financial resolutions for 2019. First, due to last year’s tax law changes, I will review my tax withholding before January 15 to make sure enough has been withheld. Unfortunately, this is a tax trap for many. Next, I plan to review some old life insurance policies. And lastly, my wife Jen and I will finalize a major gift to our alma mater, Albion College – using a donor advised fund, of course! Matt C >> To feed 100 hungry children, plant 100 trees, pick up 100 pieces of trash, mentor 100 kids, and give more than I take. Jacki >> Block weekly time for activities that bring me joy. Josh B >> My New Year’s resolution is to read more books. Lauren >> Use a 529 to save for my son’s future college expenses. We hope he’ll be a college grad in the Class of 2039! Sandy >> To be more intentional with my attention, my time, and my money, in order to make a more meaningful impact on my family and my community. Kali >> Increase my overall savings rate by 5%. Laurie >> Add one extra month to my emergency fund reserves. Being prepared ahead of time for unexpected but necessary expenses gives me a sense of accomplishment. I know that, if needed, I have a Plan B in place! Nancy >> Thanks to Tim’s “Financial Wellness; Estate Planning Lunch and Learn,” I’m motivated to get all my financial documents, such as a will, beneficiary forms, etc., completed, updated, and organized. Gerri >> This year, I am committing to travel more with friends. Many of my friends travel, and since I have made a commitment to do more myself, I think it would be a blast to make some memories together. Andrew >> Spend a minute each morning in appreciation of the things for which I’m grateful. Bob >> Update my estate plan and track my monthly spending budget at least once per quarter. We hope these New Year’s resolutions inspire you to make a few of your own. And if any of them involve your finances, reach out to one of our team members for support and guidance. Here’s wishing you a happy and successful 2019! Donor Advised Fund: Contributions to a DAF are irrevocable. Raymond James does not provide legal or tax advice. Taxpayers should seek advice based from an independent legal or tax professional prior to opening account. 529: As with other investments, there are generally fees and expenses associated with participation in a 529 plan. There is also a risk that these plans may lose money or not perform well enough to cover costs as anticipated. Most states offer their own 529 programs, which may provide advantages and benefits exclusively for their residents. Investors should consider, before investing, whether the investor's or the designated beneficiary's home state offers any tax or other benefits that are only available for investment in such state's 529 savings plan. Such benefits include financial aid, scholarship funds, and protection from creditors. The tax implications can vary significantly from state to state. After January 1, 2019, negotiating alimony in divorce cases will become significantly more difficult. Pursuant to the Tax Cuts and Jobs Act and the repeal of tax law in place since 1942, alimony will no longer be treated as tax deductible for the payer in cases finalized on January 1, 2019 or later. Great news for the alimony recipient? Not necessarily. Consider the following example: When Jane and John got divorced in 2017, John's income was $250,000 per year, and Jane was a stay-at-home mom with no earned income. John agreed to pay Jane $3,000 per month in alimony. Since he was able to deduct that amount from his income, his monthly out-of-pocket cost for the support was $2,130. Jane, of course, had to pay income taxes on the alimony. After paying taxes, however, her net ($2,400 per month) was greater than the out-of-pocket cost to John. This was an effective way to shift income from a high bracket to a low bracket and give John an incentive to pay Jane more in support. By comparison, eliminating this tax benefit takes more money out of the hands of the divorcing couple and puts it in the hands of the IRS. The payer doesn’t have an incentive to pay a penny more than his/her out-of-pocket cost. Is there a workaround that could still provide couples with the advantage of shifting the tax burden from the high wage earner to the low earner in the context of alimony payments? In some cases, the answer may be a surprising yes. Let's look at the case of Brian and Julie, who are in the same financial position as John and Jane. Julie is requesting $3,000/month in alimony for 6 years. Her attorney suggests that the parties negotiate a lump sum buy-out on alimony from a pre-tax account. This would provide the same tax benefit (shifting income from a high tax bracket to a low bracket) that the alimony deduction would have provided. With the help of a financial advisor, they determine that $3,000 per month in tax-deductible alimony is equal to $200,869 in pretax, lump-sum dollars (this assumes a 3% discount rate). To satisfy his alimony obligation, Brian can therefore transfer to Julie $200,869 from his IRA or Qualified 401k plan via a Qualified Domestic Relations Order (QDRO). By transferring the retirement assets, Brian avoids the income tax liability that is embedded in those assets. When Julie takes money out of the account, she’ll pay ordinary income taxes on any distribution, at her marginal tax bracket, just as she would have with taxable alimony payments. As long as she is at least 59 1/2 years old, she can immediately begin taking distributions without incurring a 10% penalty. This strategy comes with some significant drawbacks. First, a lump-sum buyout means the award becomes permanent and non-modifiable. With traditional alimony, if Julie were to die before the end of six years, Brian’s alimony obligation would cease, so Brian might have unnecessarily pre-paid alimony. The same could be true if Julie remarried during the payment period, Brian became disabled, or future alimony was modifiable in any way. Of course, another shortcoming to this strategy is that many couples don’t have access to a large lump sum in retirement assets. The best candidates for this workaround are likely older couples who can defer their income needs to retirement, are at least 59 ½ years old and ready to begin taking annual distributions from retirement assets, and understand all the risks involved with pre-paying support. As always, qualified and personal legal, tax, and financial advice is necessary before making any financial decisions in divorce. **Local attorneys…to learn more about this strategy and other hot tips for 2019, mark your calendars for my educational seminar on January 30, 2019, at the Bloomfield Township library. 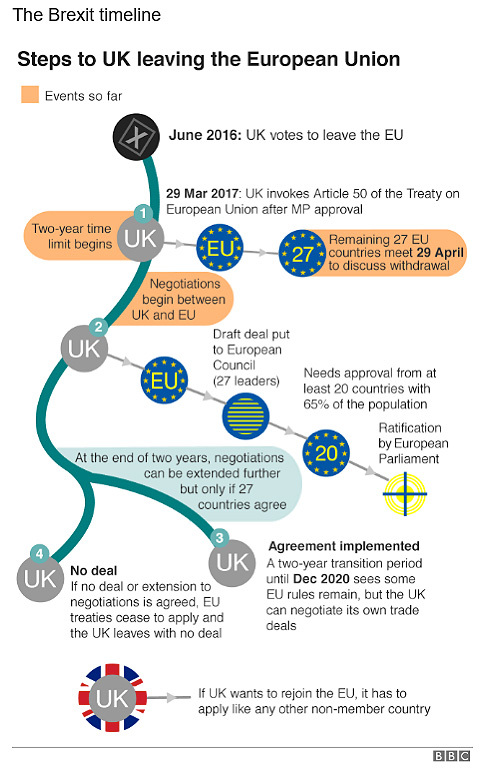 Expressions of opinion are as of this date and are subject to change without notice. This materi-al is being provided for information purposes only. Any information is not a complete summary or statement of all available data necessary for making an investment decision and does not constitute a recommendation. Please note, changes in tax laws may occur at any time and could have a substantial impact upon each person's situation. While we are familiar with the tax provisions of the issues presented herein, as Financial Advisors of RJFS, we are not qualified to render advice on tax or legal matters. Illustrations provided are hypothetical examples. Hoping for capital gains is not a good reason why you should own bonds. Actually, owning or buying bonds in this low and rising interest rate environment with the hope that you'll be able to sell them later at a higher price may not work out. BUT…just because you can’t sell this investment at a profit later does not make the investment a bad idea. A great real life comparison is a car. We own a car to get our family and us from one place to another, hopefully safely. Many components go into the makeup of a safe driving automobile. The engine is key in making the car go. Stocks act much like the engine of a car. They make our portfolios go/grow. But, would you ever drive a car that wasn’t equipped with brakes or an airbag? Brakes and airbags are similar to the bonds in our portfolio. Bonds help you control some of the risk of owning stock. For most people, the reason to own bonds is to slow down our bottom-line losses experienced in our portfolio during major market declines. Without this moderation (and sometimes even with it), investors tend to panic when stock prices fall. They make the scary times less so. When the stock market experiences an extended decline, investors look around for where to turn. Cash and Bonds are usually the place they turn to.A volatile stock market can happen suddenly and unexpectedly. Waiting to add bonds until something happens means you are going to suffer much of the downside before you actually add them to the portfolio. You have to have already had them in the portfolio for them to help. 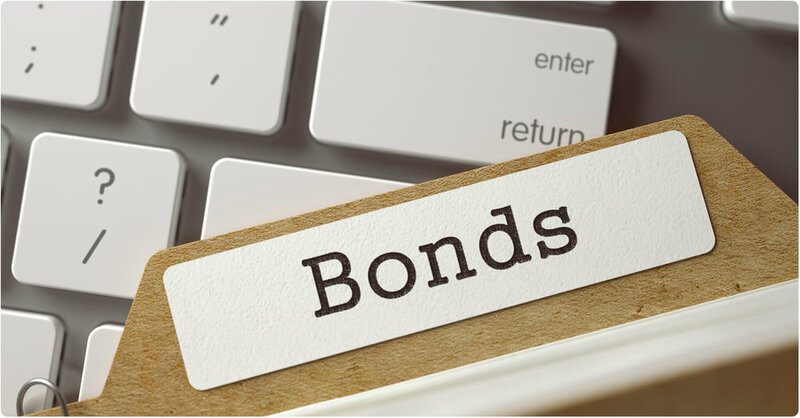 Talk with your financial planner to make sure you have the proper amount of your portfolio invested in bonds so you can hang on to your investments through those difficult times. A portfolio makeup that allows you to stay the course over the long term is much more likely to get you to your destination! https://www.marketwatch.com/story/why-bonds-are-the-most-important-asset-class-2015-06-10 Links are being provided for information purposes only. Raymond James is not affiliated with and does not endorse, authorize or sponsor any of the listed websites or their respective sponsors. Raymond James is not responsible for the content of any website or the collection or use of information regarding any website's users and/or members. Several weeks ago, the IRS released updated figures for 2019 retirement account contribution and income limits. $19,000 annual contribution limit, up from $18,500 in 2018. $6,000 “catch-up” contribution for those over age 50 remains the same for 2019. An increase in the total amount that can be contributed to a defined contribution plan, including all contribution types (employee deferrals, employer matching and profit sharing), from $55,000 to $56,000, or $62,000 for those over age 50 with the $6,000 “catch-up” contribution. $6,000 annual contribution limit, up from $5,500 in 2018 – the first raise since 2013! $1,000 “catch-up” contribution for those over age 50 remains the same for 2019. As my colleague Kali Hassinger, CFP® touched on, the Social Security Administration announced a cost of living adjustment, to the tune of 2.8%, starting January 2019. Kali also mentioned some slight increases to Medicare Part B premiums to keep in mind as we inch closer to 2019. As we enter 2019, keep these updated figures on the forefront when updating your financial game plan. As always, if you have any questions surrounding these changes, don’t hesitate to reach out to our team!